A illustration from Joseph Priestley's “Impregnating Water with Fixed Air"
One of my addictions in life is carbonated water (sparkling, fizzy, seltzer, or soda water). I have had a SodaStream for over four years and probably make my way through a minimum of three bottles of carbonated water a day (note, I do not drink soda, only water, coffee, and tea, therefore, this is a habit I do not plan on breaking). 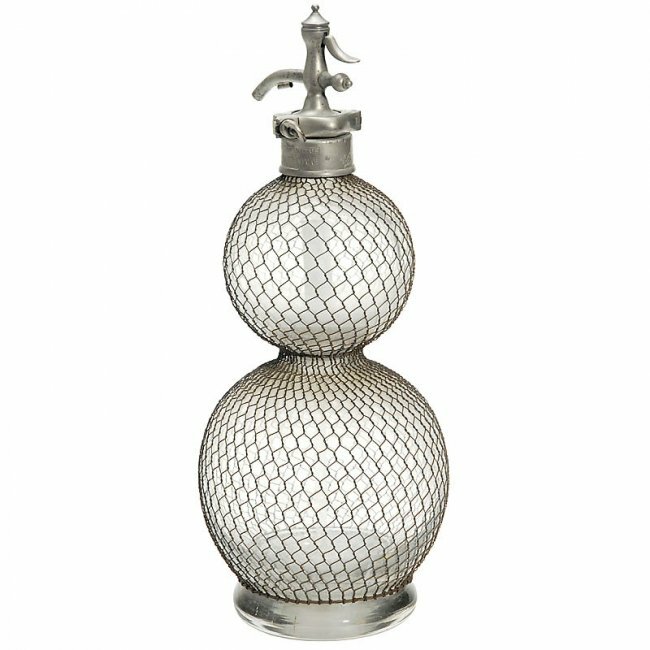 It is no wonder my love of vintage and my love of carbonated water collide today in this presentation of vintage glass soda siphons (also spelled syphon or commonly known at seltzer bottles). 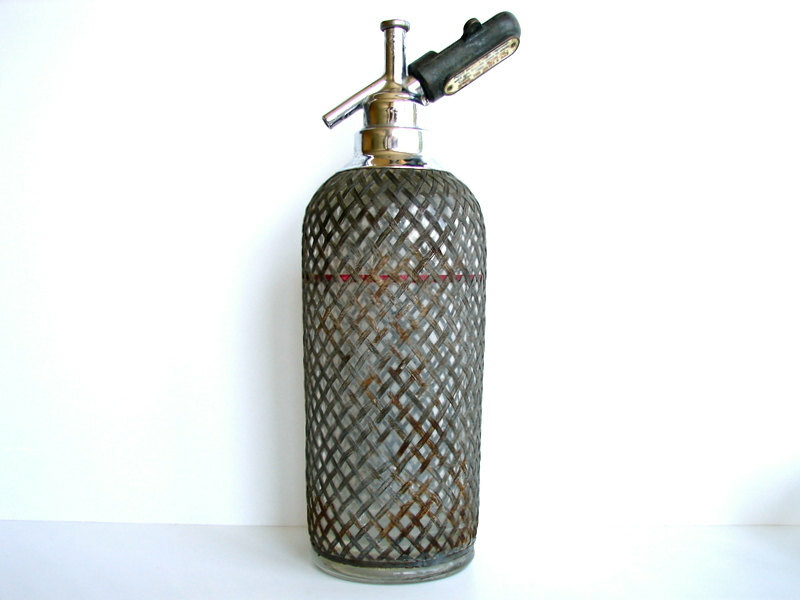 A soda siphon is the device used to dispense carbonated water. Throughout history, naturally carbonated waters (from volcanic springs) have held an important value as a natural tonic. However, it's also a very costly tonic to capture and keep pressurized. In 1772, an Englishman, Joseph Priestley, published a book on his research of man-made carbonated water titled “Impregnating Water with Fixed Air” in 1772. 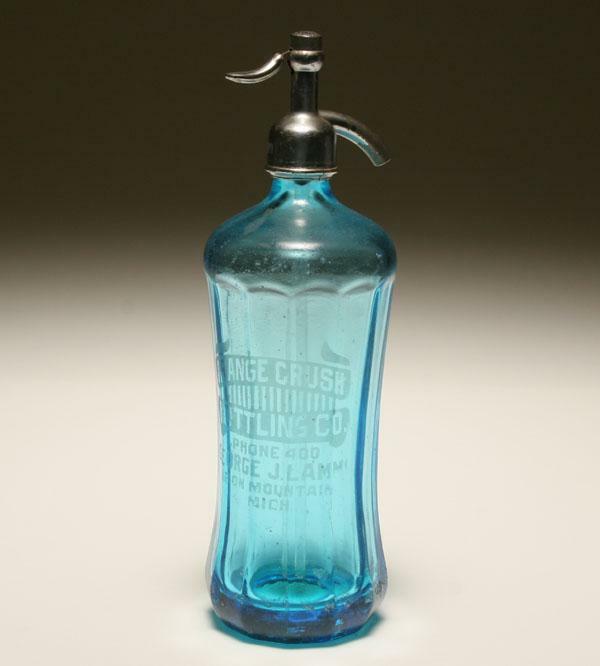 This particular work, led German Johann Jacob Schweppe (The Schweppe's Company) to create a method to carbonate water. The only thing next was to create a portable device for distribution. You see many inventions and improved upon devices (involving the valve design and maintaining pressure) popping up all over Europe and America throughout the 1800s thanks to the invention of soda foundation shops and, of course, the rise of cocktail culture.The height of soda siphons hit between the 1920s-1930s (a time when most of the glass-work was made in Bohemia, aka the Czech Republic). 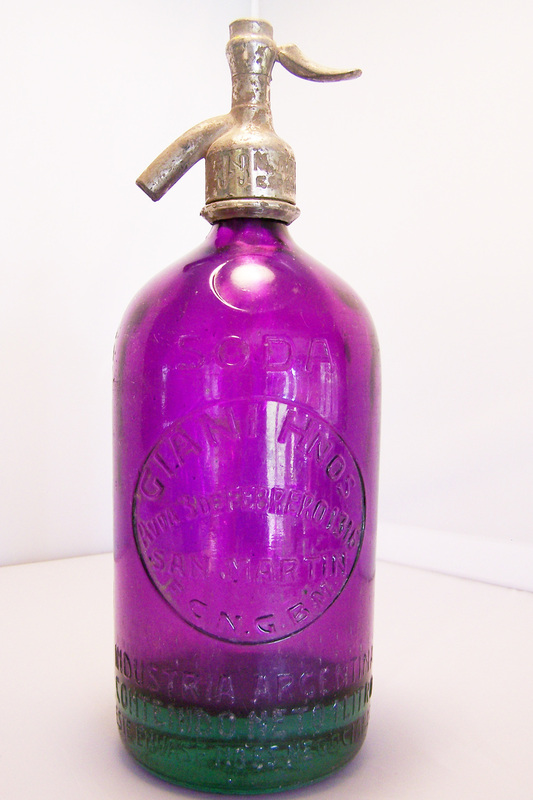 You can still find siphons from this era today (antique shops on and offline: $40 to well over $100, depending on if they work or not) or you can purchase working replicas. You can also find modern designs at various kitchen retailers, which tend to be all metal and plastic instead of incorporating glass. As you can see, due to the many companies making the siphons, you get a range of colors and styles - all of which are works of art.